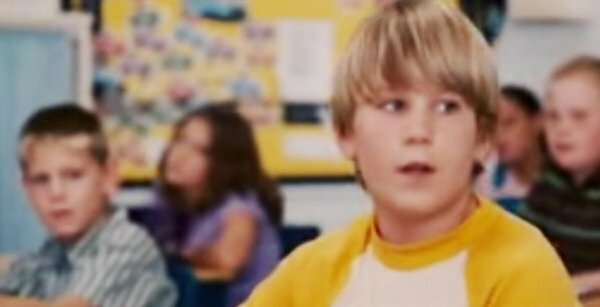 Remember the little kid who played young Ricky Bobby in Talladega Nights? Well, he’s grown into a 20-year-old man who apparently, has quite a bit of Ricky Bobby in him. Yesterday, Luke Bigham was arrested in Trussville, Alabama for the shocking crime of allegedly pushing his own mother down the stairs. According to The Trussville Tribune, the actor and his mother got into a confrontation at around 8 PM local time on Tuesday night. It’s unclear what exactly they might have been arguing about, but at some point, Bigham allegedly lost it and shoved his mom down the stairs. The police showed up a short time later, and he was hauled off to jail and charged with third-degree domestic violence. Unfortunately for Luke Bigham, this isn’t the first time he’s gotten in trouble with law enforcement recently. Next Wednesday, he’s due to show up in court to answer reckless driving charges. Police claim he was driving his Lexus 80 mph in a 35 mph zone when he collided with another car, careened out of control and allegedly caused a five-car accident. No word on whether he was blindfolded at the time. As of this morning, Bigham was still in jail on $1000 bond. For the sake of his family, I sincerely hope he’s able to rebuild some bridges and get his life back on the straight and narrow.